I don’t believe in the whole New Year’s resolutions thing or in making the next year better than the last. I believe in making the most of every day, not every year. But I would be lying if I said that 2013 wasn’t a fantastic year. I began last year with the idea of doing something different at least once every month, whether that was visiting a new place, trying a new food, or doing a new activity. I did so many things I’d never done before such as the Harry Potter Studio Tour where I knocked on No. 4 Privet Drive and tried some yummy butterbeer; climbed the O2 where you can see the whole of London from the top; watched When Harry Met Sally at an open air cinema on a warm Summer evening; and walked down the red carpet at my first travel events. I tried some new classes such as Krav Maga and yoga, and I started a permanent volunteer position at London Zoo. I travelled to some fantastic new countries including Poland, Tunisia and India, all of which brought more opportunities to visit new places, the highlights being the stunning Taj Mahal in India, a Roman amphitheatre in Tunisia and Auschwitz in Poland. And of course, new countries always come with trying the delicious local delicacies. All of these adventures mean that not only did I have a super busy year, it was also an extremely fun one. You can read more on my Do Something Different post here. Trying new things and visiting new places can sometimes be a little scary as it takes you out of your comfort zone, but that is what makes life exciting, and I’ve absolutely loved all of my adventures and am certainly planning on doing some of them again this year. One of the main things I did in 2013 was starting this blog. It’s something I should have done a long time ago when I jetted off on my first round the world trip but I never got around to it. So, 5 years later, I have a lot to talk about! Even though I’ve never been a writer and did everything possible to get out of writing essays in school, I’ve thoroughly enjoyed writing, and sharing my stories and photos with you all and the support that I’ve received from a lot of people has been amazing. The other bonus of starting my blog, as well as becoming more involved in the travel community on Twitter, is that I’ve been able to meet some great people, some of who have become brilliant friends. Climb the Inca Trail up to Machu Picchu – planned for June so I best start doing some sort of exercise in preparation! Watch a World Cup match in Brazil – got tickets for Spain v Chile and, while I’m not a football fan, I’m told this is a pretty good match?! Find some yoga classes for me and hubbers – I’m not as flexible as I used to be and Alex finds it difficult to even cross his legs! Okay, I know the last one is a little farfetched, but I can dream right? These are MY bucket list items after all so I’m allowed to put whatever I want on there! Even though Alex will almost certainly tell me that this list is perfectly enough to last for the whole year, I know and he knows, and I’m sure you all know, that it will never be enough and I will always be adding more adventures to it, and more than likely dragging him along with me. We’re only a week into the new year and I’m already nagging him as to where we can go next! So, while I might have a brilliant year planned, it’s not this year I’m looking forward to, or even this month. This week has enough excitement alone and I’m thoroughly looking forward to every single one this year! 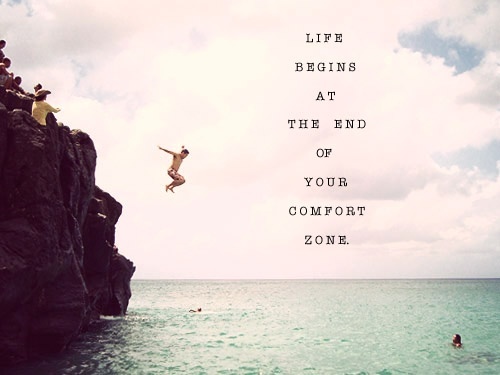 Have you got any exciting adventures planned for 2014? What else should I add to my list? I love this! I love your ‘do something different’ approach to 2013, and I can’t wait to read about your adventures for the upcoming year. 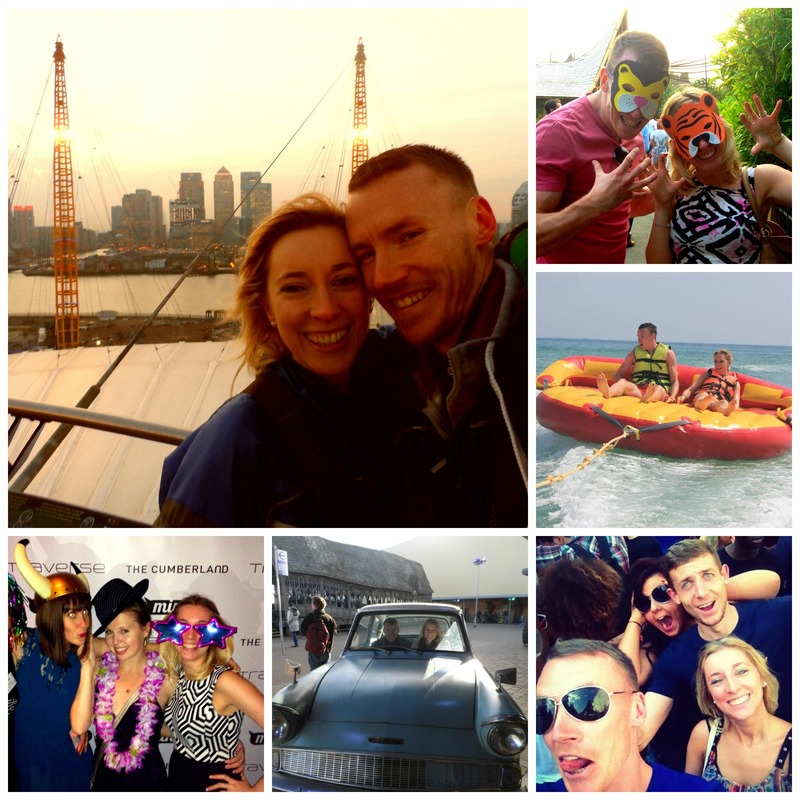 Here’s to many more happy times – and happy adventures! I’m so with you on that last one! Haha! Definately plan to get back to S.America at some point this year, so maybe Ill see you there too! And I think you are so right with not believing in resolutions and trying to live life differently too. Too many people give up on resolutions by the end of January! Happy 2014, I hope it’s a great year for you!